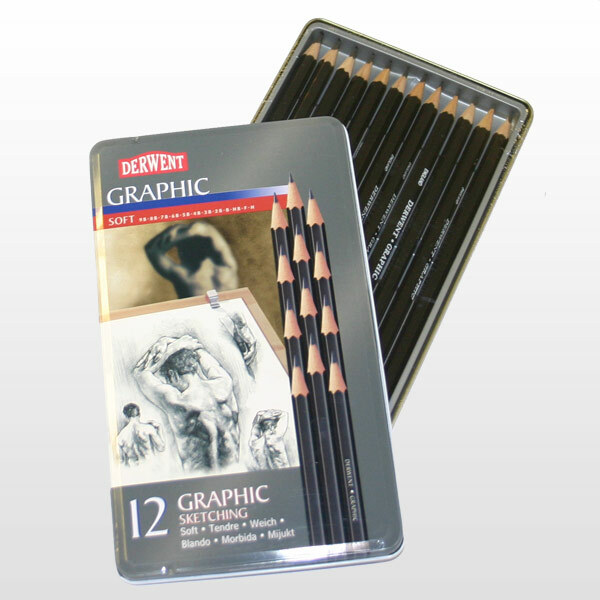 This Derwent Graphic Pencils Tin contains 12 high quality graphite pencils, in assorted degrees ideal for all kinds of drawing and sketching. The tin is available in soft (9B - H) or medium spectrum (6B - 4H). UP TO 30% DISCOUNT OFF THE RRP! Derwent - A trusted company. Delivers the goods again with these excellent reliable pencils.